This blog is going on semi-vacation over the next week during the Pesach (Passover) festival until after the chag (it finishes on the night of 26th April, running straight into Shabbat on the 27th). If you would like to learn more about Pesach, have a look at Aish’s website or Chabad. So what's the deal with Seder, Matzah & the Haggadah?! I would like to wish all my readers, along with all of Klal Yisrael, a chag kasher vesame’ach – a happy and Kosher Passover. May we all merit to celebrate in rebuilt Jerusalem “speedily in our days” as we say in the Seder. Wishing you all Shabbat Shalom and Chag Kasher Ve’Samea’ach! It is almost the eve of the Passover festival, for which I have a different post prepared, so in order not to miss out on the latest good news I thought I would get you all into festive mood with a Good News Wednesday post instead! In what can be seen as an incredible show of support for Israel, the U.S. administration has included the Jewish state in its efforts to block the International Criminal Court at The Hague from investigating war-crimes allegations. While some have decried the administration’s response to be an expression of what they perceive as American exceptionalism, U.S. President Donald Trump views it as the opposite – unfair, exceptional focus on democracies. And so does Israel, which is consistently singled out and unfairly held to a higher standard in the international arena. Professor Eugene Kontorovich, director of international law at the Jerusalem-based Kohelet Policy Forum, testified on the ICC in Congress and advised senior American and Israeli officials on the court and its jurisdiction. 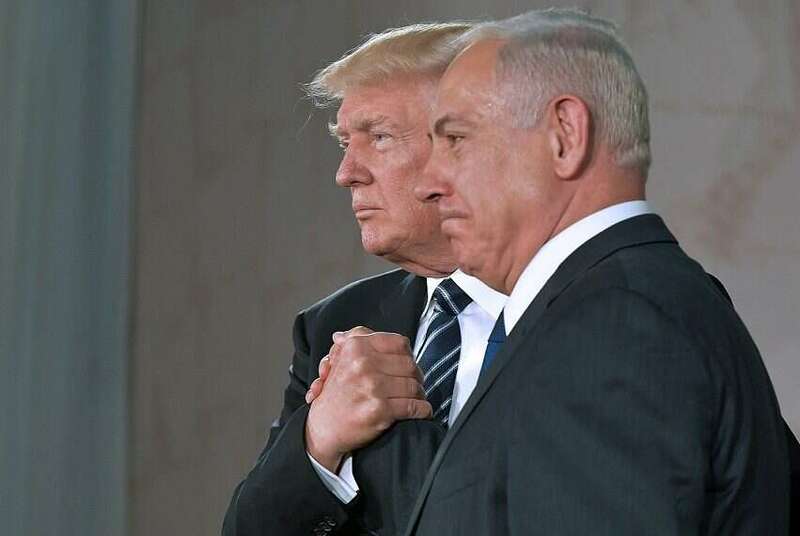 “President Trump has taken an extraordinary step in defense of Israel, promising to impose sanctions such as travel bans on ICC officials if they pursue their biased investigation of Israel,” Kontorovich said. When I think how everyone (including myself I am ashamed to say) mocked Donald Trump for his clumsy ways and unpolitically correct way of speaking and acting, it is almost miraculous how he has consistently done the right thing as far as Israel is concerned. Once again, thank you Mr. President for standing with Israel and for withstanding and rejecting the nay-sayers. The policy change came in a court settlement Monday between the vacation rental company and a dozen American Jewish plaintiffs who had sued the company, organized by Shurat Hadin-Israel Law Center, a pro-Israel law organization. A copy of the settlement obtained by the Jewish Telegraphic Agency says that Airbnb will now allow rentals in both Palestinian Arab areas and Israeli towns in Judea and Samaria. Airbnb announced in November that it would remove some 200 rental listings in Israeli settlements because it contended that the settlements “are at the core of the dispute between Israelis and Palestinians.” The movement to boycott Israel saw the decision as a victory. But Airbnb never actually removed the listings. And about a week after the decision, Shurat Hadin organized the suit on behalf of a dozen American Jewish families, most of whom own properties in Israeli towns in Judea and Samaria. The suit was filed under the Fair Housing Act, which was meant to prevent discrimination against minorities in the United States. Because Airbnb is based in the United States, it must adhere to the act in all its listings worldwide. The plaintiffs claimed that Airbnb was discriminating against them for being Jewish, given that it still allowed listings by Muslims and Christians in Judea and Samaria. Kol hakavod to Nitsana Darshan Leitner and Shurat Hadin for not letting this matter rest, and for their clever use of the law to ensure Jewish rights in Judea and Samaria, as well as the rest of Israel. 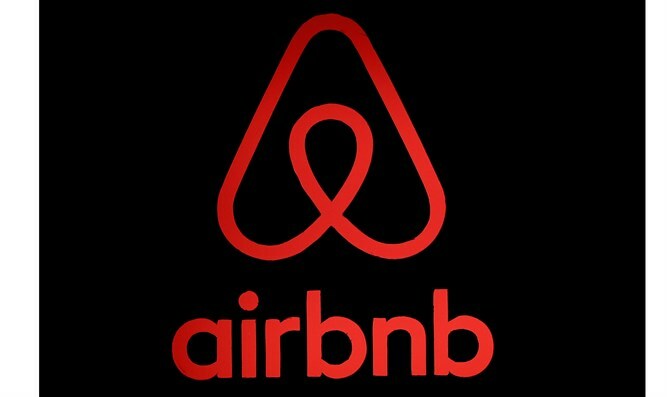 Kol hakavod too to Airbnb for acceding to Israeli requests and for restoring the status quo ante. Now we can use Airbnb again for booking our holidays with a clear conscience. The cost of bringing the international superstar – which stands at $1.3 million – to Israel will be covered by Israeli-Canadian billionaire Sylvan Adams. Kol Hakavod to Sylvan Adams for his generosity in financing the cost of bringing Madonna to perform. 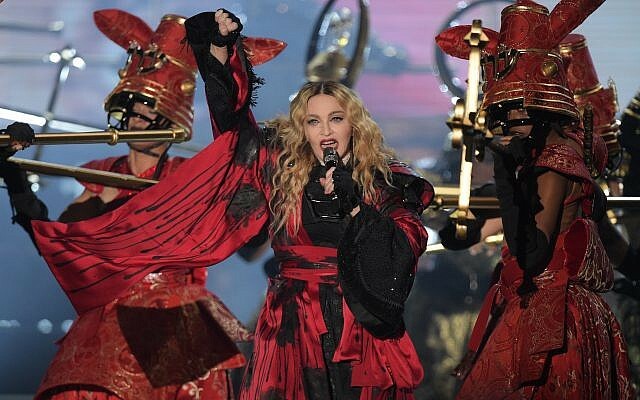 And kudos to Madonna too, not only for coming to perform but for rejecting the calls to boycott Israel. This Eurovision is going to be fantastic! A huge kol hakavod to the scientists at Tel Aviv university for this fantastic development, which has the potential to save countless lives. May their research lead to great success for the sake of all of us. I hope all this good news will put you in a good mood to finish all your Pesach preparations! What a week it’s been! The ups and downs of the elections – first with Benny Gantz and his Blue & White party seemingly winning the vote, then Binyamin Netanyahu overtaking him; Naftali Bennett and Ayelet Shaked being out, then in, and then out again (that’s a real pity); and then the excitement of the Beresheet moon landing – which crashed in the last minute. Nevertheless, it’s all good. The elections, dirty as the campaigning was, and despite the claims of dirty tricks on all sides, were an exercise in democracy which would do any civilized nation proud, particular a nation under literal and figurative fire for every day of its existence. That’s while not even beginning to compare ourselves to our neighbours who don’t know the meaning of the word democracy. So Likud have won, the horse trading will begin, and maybe Netanyahu will be indicted and maybe he won’t. But one thing we can be sure of: the State of Israel will continue to thrive, a military coup will not take place, and nor will a civil revolution upturn the results of the election. Yes, we complain every day, and we have plenty of reasons to, from the lagging health care system to the sagging transport infrastructure. But we have so much to be proud of and to be grateful for. And our grandparents only 2 or 3 generations ago would have given their eye-teeth for a chance at governing themselves under a Jewish government in a sovereign Jewish state. “We are full of admiration for the wonderful people who brought the spacecraft to the moon. True, not as we had hoped, but we will succeed in the end,” President Rivlin said, hoping to provide comfort and hope to his young guests. The president sang Israel’s national anthem, a song of hope, with his young audience. “When we were children your age, we never even dreamed we would go to the moon. I hope that you will be the scientists who get to the moon and achieve even greater things. This is an important evening of the State of Israel and for Israeli citizens and children who can see what we can do when we want and try – so long as we work together,” he said. Indeed it is this spirit of indomitability that is Israel’s secret strength. We don’t let failures stop us. We use them as learning experiences in order to make us stronger and improve our methods. What could contrast our societal difference better? Whatever you guys hear… that's what we want you to think. 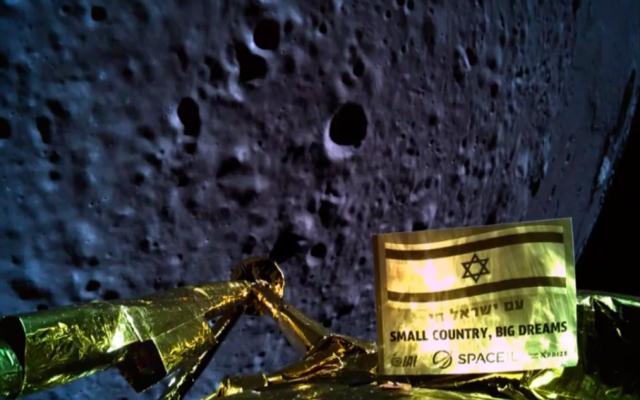 Israel made a dent on the Moon!! If you are going to fail, do it spectacularly! Average people might crash a party, we crashed the moon! There were many more memes and graphics doing the rounds on WhatsApp, too many to reproduce here. 🙂 But blogger Paula Stern has provided a pretty good round up on her post “Israel laughing its way to the Moon”. Kol hakavod to the XPrize Foundation for their generosity and for recognizing the importance of Beresheet. And of course huge kudos and thanks to the entire Beresheet program, from the founder Morris Kahn, to the Israel Aircraft Industries, to the scientists, engineers and researchers who made it all possible. May the next moonshot get all the way there in one piece! You may be wondering from my headline what is the connection of the moonshot to Shabbat Hagadol, the last Shabbat before Pesach. Pesach falls in the month of Nissan, called “the month of spring” in the Torah, and we are told that Nissan is the first of all the months. The months in the Jewish calendar are always marked by the first sighting of the new moon. Today, ever since Rabbi Hillel fixed the Jewish calendar in Mishnaic times, we have a calendar that we can follow and know exactly when Rosh Chodesh, the new moon, falls. But 2,000 years ago the months were announced only when a witness would get themselves to the Sanhedrin in Jerusalem and swear that he had seen the new moon. Then bonfires were lit on the hilltops, and thus the news spread quickly from town to town. Recently I’ve felt that Israel is living in an historical era much like that of the Maccabees. A tiny Jewish minority, standing against hostile giants determined to destroy us in our ancestral land. Now I wonder what our Maccabbean ancestors would have thought if they could have known that, unimaginable centuries later, their children would land an Israeli rocket on the moon. 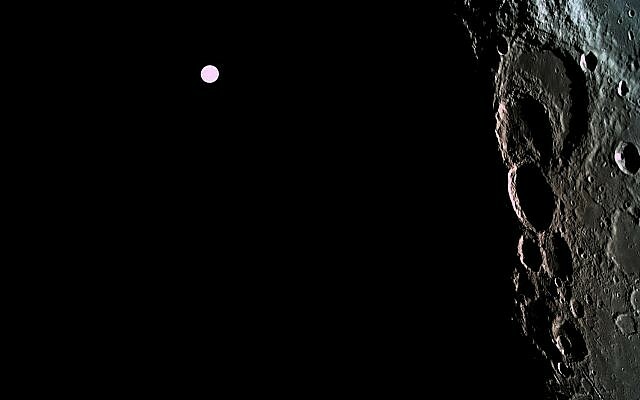 On the moon, whose earliest sighting every month established that month on the Jewish calendar; the calendar that the Greeks forbade. No new month, so no holidays to mark the points of the Jewish year. That’s what our enemies tried to erase, our continuity. But here we are, and we landed a rocket on the moon. Sometimes it seems that Israelis are a little in awe of themselves, at what they have achieved. This week, from the noisy elections to the almost-success of a moon-landing, we have every right to enjoy that sense of awe and be proud of ourselves. And as importantly, we must give thanks to G-d that He has chosen our generation to play this hugely important part in this latest chapter of the unending story of Jewish history. It has been a horrible, dirty, personal campaign this year on ALL sides. Almost every party has smeared and slammed their rivals and it has left a very bitter taste in most Israelis’ mouths. It almost put me off voting at all. Key points to note: there are two new, very popular parties: Blue and White, led by former Chief of Staff Benny Gantz, who has rounded up a roster of two other former CoS’s. And the Yamin Hachadash, the New Right, headed by former Bayit Yehudi leader Naftali Bennett and Justice Minister Ayelet Shaked. I would have been tempted to vote for them, but I cannot find it in my heart to forgive them for leaving Bayit Yehudi, my own political home since I made aliya, high and dry 5 minutes before the elections, giving them almost no time to find a new charismatic leader and cobble together a vote-worthy list. Ten to fourteen of the 40 Knesset slates competing in the election are likely to actually pass the 3.25% electoral threshold and enter Israel’s parliament, while at least 26 parties are expected to fall short of the projected 144,000-145,000 (3.25%) or so votes needed to cross the threshold. A quarter of the 40 parties running in Tuesday’s election are widely expected to clear the electoral threshold, having been projected to win at least four seats in every pre-election poll conducted over the past 30 days. They include the Blue and White party, the Likud, Labor, Meretz, United Torah Judaism, Shas, the Union of Right-Wing Parties, the New Right, Zehut, and Hadash-Ta’al. A joint ticket of the existing Yesh Atid faction and the newly-established Israel Resilience and Telem parties, the Blue and White alliance was formed in February and has presented itself as a centrist alternative to the ruling Likud party. The joint list is led by former IDF chief of staff Benny Gantz, who chairs the Israel Resilience faction, Yesh Atid chairman Yair Lapid, former IDF chief of staff Gabi Ashkenazi, and former Defense Minister and ex-IDF chief of staff Moshe Yaalon, who heads the Telem faction. 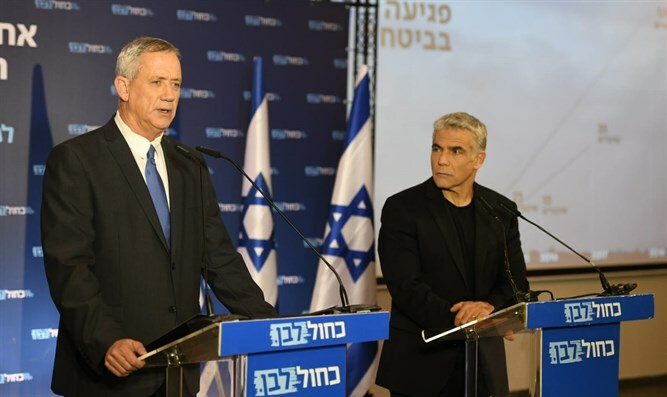 Blue and White’s platform emphasizes the security bona fides of its three generals – Gantz, Yaalon, and Ashkenazi – and eschewing the right-left divide, offering itself as a kind of radical centrist alternative. According to the party’s platform, the Blue and White list backs territorial compromise with the Palestinian Authority and “separation from the Palestinians”, while calling for maintaining Israeli sovereignty over the whole of Jerusalem, as well as Israeli security control over the Jordan Valley along the border with Jordan. The Likud, Israel’s big-tent conservative party, has governed for 31 of the last 42 years since it first took power in 1977. Originally formed in 1973 as a joint list of nationalist and classical liberal parties, the Likud was formally established as a unified movement in 1988. On April 6th, Prime Minister Binyamin Netanyahu announced that he would pursue the annexation of Israeli towns in Judea and Samaria if reelected as premier. Fiscally conservative and emphasizing economic growth, the Likud backs additional tax cuts, the reduction of business regulation, and the reform of some government-owned companies. Once dominant in Israeli politics, the Labor party has not controlled the premiership since March 2001, when then Prime Minister Ehud Barak was defeated by the Likud’s Ariel Sharon after just one year and eight months in power. With its roots in the socialist but often hawkish Mapai, Labor has evolved into a progressive-left faction emphasizing the Two-State Solution, the expansion of the welfare state, economic equality, and social liberalism. 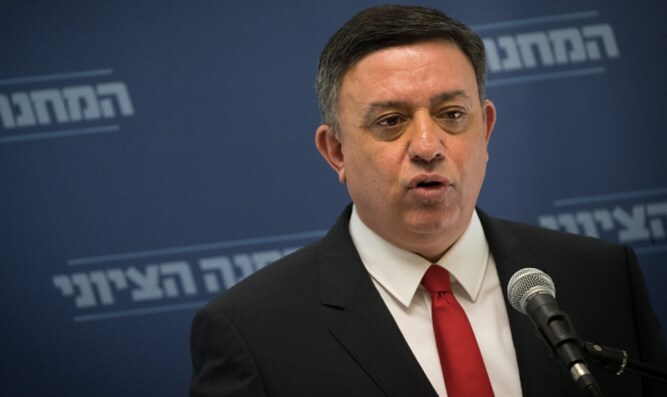 While the party managed to win 19 seats in 2015 as part of a joint list with Hatnuah (the union won a total of 24 seats), polls show Labor falling to mid-single digits in the April election. Like Blue and White, Labor’s 2019 platform emphasizes security and separation from the Palestinian Arab population in Judea and Samaria. Labor explicitly endorses the establishment of a Palestinian state, and provides for the possible eviction of large numbers of Israelis living in Judea and Samaria. 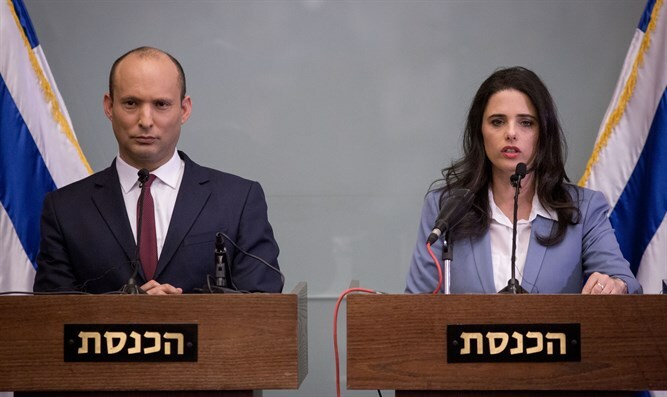 In December 2018, then-Jewish Home chairman Naftali Bennett, Justice Minister Ayelet Shaked, and Shuli Mualem broke away from the Jewish Home party to form a new right-wing faction aimed at attracting support from both religious and secular opponents of the Two-State Solution. The New Right’s strongly opposes the establishment of a Palestinian state, favoring instead Israeli sovereignty over large swathes of Judea and Samaria, with expanded autonomy for large Arab population centers in the Palestinian Authority. In line with Western-style conservative parties, the New Right backs market-based economic reforms and the curtailing of judicial activism by the Supreme Court – what Justice Minister Ayelet Shaked has dubbed the “judicial revolution”. Formed on the eve of the elections for the 21st Knesset, the Union of Right-Wing Parties is a temporary alliance of three small rightist, socially conservative, national-religious factions: the Jewish Home, the National Union, and Otzma Yehudit. A rebranded version of Israel’s National Religious Party (NRP), the Jewish Home – like its predecessor – has advertised itself as the political home for Israel’s Religious Zionist community, yet for decades has failed to win a majority of the national-religious vote. While many Religious Zionist voters have backed the Likud, the Jewish Home has also faced competition from rival national-religious parties, such as the National Union. An amalgamation of smaller rightist factions, the National Union is led by the Tekuma faction, which broke away from the NRP and represents the Hardal, or so-called ‘haredi national religious’ sub-sector of the Religious Zionist movement. The Jewish Home and National Union successfully ran together on joint tickets in 2006, 2013, and 2015. This year, however, the two parties brought in a third faction – the Otzma Yehudit (Jewish Power) party – for a technical bloc, with plans to run together in the election, then split once they enter the Knesset. Otzma Yehudit, which is led by followers of the late Rabbi Meir Kahane, has drawn controversy for its founders’ ties to the banned Kach party, which advocated the transfer of Arabs from Israel. The joint ticket’s platform emphasizes its support for maintaining Israel’s Jewish character, the sanctity of the Sabbath in the public sphere, traditional family values, support for the Chief Rabbinate, the need to expand Israeli settlement in Judea and Samaria, and the party’s opposition to the establishment of a Palestinian state. The three factions are led by Rabbi Rafael ‘Rafi’ Peretz (Jewish Home), MK Bezalel Smotrich (National Union-Tekuma), and former MK Michael Ben-Ari (Otzma Yehudit). Founded by former Likud MK and Land of Israel activist Moshe Feiglin, Zehut combine a laissez-faire, libertarian political ideology with nationalist positions on issues of territory and foreign policy. The unusual combination of support for decriminalization of marijuana and staunchly right-wing views regarding the future of Judea and Samaria have led some to dub Zehut the party of “legalization and annexation”. Zehut has called for the full legalization of marijuana – both medicinal and recreational – and the application of Israeli sovereignty to Judea and Samaria, while offering Palestinian Arabs who declared loyalty to Israel legal residency status, much like the Arabs of eastern Jerusalem. The party’s platform, which was written in large part by libertarian economist Gilad Alper (third on the Zehut Knesset slate), calls for massive reductions in taxes and regulations. Zehut has also called for a school voucher system, allowing parents greater freedom to choose what school to send their children to. Other policies on the Zehut platform include: legalizing civil marriages; privatizing Israeli hospitals and large swaths of the public health insurance system; ending state funding of political campaigns; an end to state coercion in matters of religion and state; land privatization; replacement of Israel’s progressive tax system with a flat tax; free trade and an end to protective tariffs; increased gun-ownership rights; and an end to US government aid to Israel. Zehut Chairman Moshe Feiglin served in the Knesset with the Likud from 2013 to 2015. Prior to that, he was known as the leader of the Zo Artzenu (This Is Our Land) movement, which protested the Oslo Accords and establishment of the Palestinian Authority. 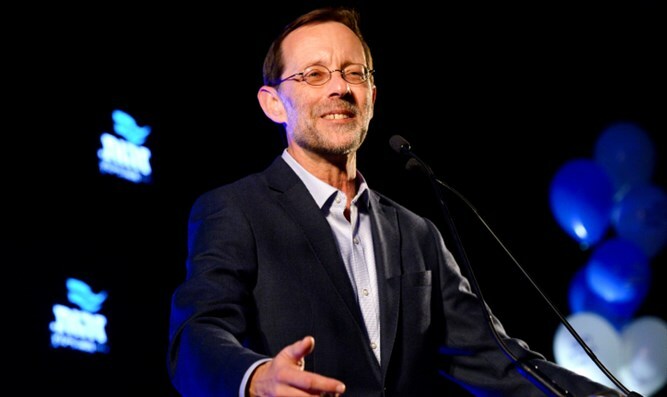 In the mid-1990s, Feiglin founded the Manhigut Yehudit (Jewish Leadership) faction of the Likud, with the aim of pushing the party to the right. There are several other parties in the article, including a long list of single-issue parties who don’t stand a chance but add some piquancy to voting day. You can read about them at the link. Any party which receives 3.25% or more of the vote is represented in the Knesset. 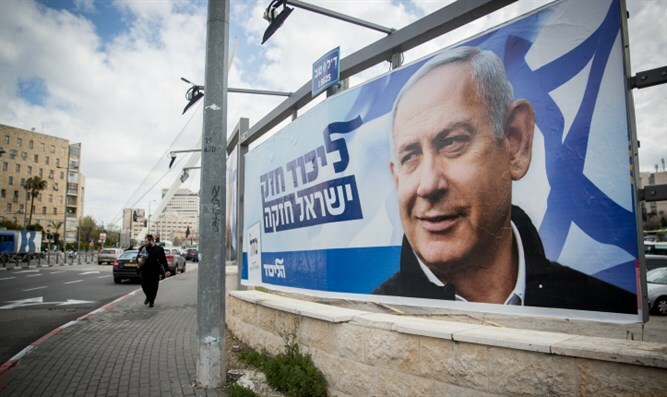 Given historical trends of voter turnout, it is expected that some 4.4 million or so Israelis will take part in this year’s election – meaning that a party must win about 144,000 votes to pass the electoral threshold. Each seat will represent some 36,000 to 37,000 votes – not including the seats allocated in the second round of the vote count, based on the votes to parties which did not cross the threshold. That means that a part can enter the Knesset with a bare minimum of 3.25%, or the equivalent of 3.9 seats. In theory, a party can thus win a minimum of three seats in the Knesset, though practically speaking winning less than four while still crossing the threshold is unlikely. After the initial seat allocations are made, the votes to parties which failed to cross the electoral threshold are divided up among the remaining parties, in proportion to each faction’s share of the vote. In other words, votes to parties which fail to enter the Knesset are distributed to those parties which passed the threshold, which the larger parties receiving a larger number of those ‘extra’ votes. In addition to receiving extra votes from parties which failed to cross the electoral threshold, lists which do manage to enter the Knesset can also win ‘extra’ seats through vote-sharing alliances with other parties. Based on the Bader-Ofer method of voting sharing, two parties (or joint lists) may sign a pre-election agreement to ‘share’ surplus votes. Under this arrangement, if one of the parties in the agreement is just short of an additional seat and the other party has enough ‘extra’ votes beyond the seats they’ve been allocated, those ‘extra’ votes are transferred to the first party, giving them an additional seat. This happened, for instance in 2009, when the National Union list was just shy of its fourth seat, but had signed a vote-sharing deal with the Jewish Home, enabling it to ‘borrow’ votes pushing it up to the fourth seat. This election cycle, several large parties signed vote-sharing deals, including the Likud with the Union of Right-Wing Parties, the New Right with Yisrael Beytenu, United Torah Judaism with Shas, the two Arab lists with each other, and Labor with Meretz. In elections to the Knesset, parties (miflagot) may run either as independent factions, or join together with other parties to form a joint list. For instance, since 1992, two small Ashkenazi haredi parties – the Hasidic Agudat Yisrael faction and the non-Hasidic Degel Hatorah – have run for the Knesset on a joint ticket, dubbed the United Torah Judaism list. Both parties remain independent entities, and run separately in municipal elections, negotiating the terms of their joint ticket every election cycle. In 2015, four smaller Arab factions – the communist Hadash, secular Arab nationalist Balad, the populist-nationalist Ta’al, and the largely Bedouin United Arab List – ran together on a joint list, unimaginatively named the Joint List. 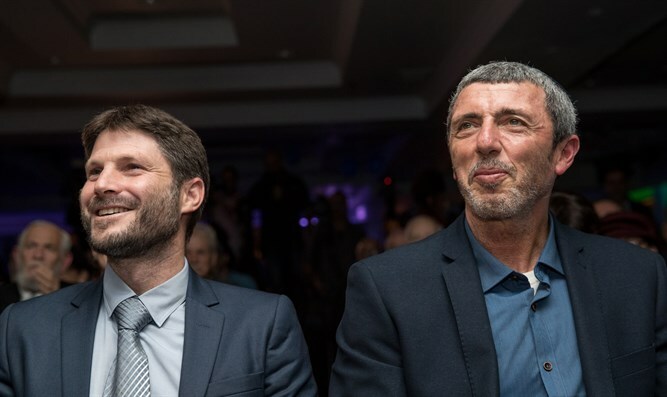 This year, three right-wing parties – Jewish Home, the National Union, and Otzma Yehudit – formed a similar joint ticket, dubbed the Union of Right-Wing Parties. Joint lists function in some regards like parties, even though they are in fact collections of smaller parties. While the member factions often retain a high degree of autonomy within the larger list, in terms of elections, they are treated as a single party. The joint ticket submits a single Knesset slate to the elections committee, and runs under a single letter(s) symbol – represented by either one, two, or three letters, which appear on the joint list’s slips in every voting booth around the country. The vote this year, as it is in every election cycle, is of huge importance in a country as volatile as Israel. And yet it seems that the election turnout so far has been relatively low. The weather is gorgeous and I think many people just can’t be bothered to vote, thinking the results will be the same old same old, and have gone off on picnics and hikes, or even abroad. We will see the full numbers at the close of voting at 10 pm local time. We won’t know till tomorrow Israel time at the earliest what the results will be. And even if Netanyahu wins, he has to put together a coalition. The same goes if Benny Gantz wins. And the theory at the moment is that even if Netanyahu loses, he will be the one most able to put together a coalition first and that is what counts in the end. Most people can’t imagine Israel without Bibi any more. He has been in power for 13 years which is an extremely long time by any standards. At this stage it’s not necessarily a good thing anymore. He has been an excellent prime minister but he has not cultivated a successor. No one lives forever and even if he is the best prime minister consistently, one day someone will have to take over. The trouble is no one has the diplomatic experience that he has. I am less worried about security, although that is also a concern. I have full faith in the other leaders that they are loyal Israelis who wouldn’t do anything to endanger the country. Then again they may be delusional like Shimon Peres was, dreaming of a New Middle East which was never going to come about, at least in the pink-rainbow way he imagined. But Netanyahu has managed to negotiate us through the very difficult waters of Russia, Syria, Iran and America, keeping us safe and strong. I don’t think there is another leader in Israel, or the entire world, who could have done what he did. But as the cynics say, cemeteries are full of indispensable people. And as I said, no one lives forever and even if he is voted in again he must cultivate a successor to ensure a smooth continuity. But I doubt he is listening to me! “At 5:35 AM we woke up, my wife, my brother Reb Shimon Leib and my brother-in-law Reb Natanel Solduchil. And after we drank coffee we put on Shabbat clothing in honor of this great and holy day, because ‘This is the day the Lord has made, we will rejoice and be happy on it .’After 2000 or more years of exile, you could say that from the six days of Creation until this day, we have not merited to see a day like this, that we are holding elections in a Jewish state. Shehechiyanu! Blessed is the One that kept us alive and sustained us and brought us to this day! So we went to the voting station near Chabashim Street with our identity cards in hand. With great and mighty joy we walked the short way there, and the entire way I walked like it was Simchat Torah and I was circling with a Torah scroll, because I was holding the identity card of our new Jewish State in my hand. My happiness and joy knew no bounds! The assistant at the voting station brought the ballot box, and the chairman called out to me and said ‘V’Hadarta Pnei Zaken’ – ‘And you shall honor the old man’, And he told me that since I was the oldest person present, I would be the first to votre. With a thrill of awe and holiness, I handed my identity card over to the chairman, and he read out my name from my card and from the book of voters. And the deputy chairman wrote down my name and handed me the number 1. Then he handed me an envelope and I went into the other room, where there were ballots from all the parties. And with a shaking hand, moved with holiness, I took one ballot marked “B,” for the Religious Union party, and I placed the ballot inside the envelope I had received from the deputy chairman. I reentered the polling room, and I showed them that I held only one envelope. Then the holiest moment of my life arrived. The moment that neither my father nor my grandfather had the privilege to experience in their lifetimes. Only me, in my time, in my lifetime, did I merit to experience such a holy and pure moment as this… What joy for me and my portion! At 6:28 AM, we returned home and went to pray. What a great holiday!”. What a pity that a mere 70 years later people are so apathetic. And then they complain that they don’t like what their leaders are doing! That’s what happens when you don’t make use of your legal right and civic duty to participate in the elections. I can’t believe it’s Friday already! Time for another Good News Friday installment. Eavesdropping, polls, press conferences – seemingly, the important headlines take place in the realm above the ground. However, yesterday we received a dramatic reminder from the bottom of the earth. 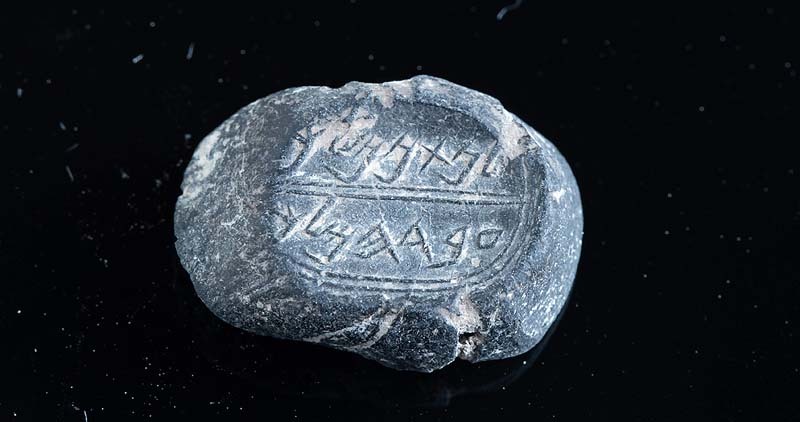 Two rare discoveries were unearthed in the City of David in Jerusalem: A stamp seal on which the inscription “[belonging to] Ikar son of Matanyahu” (LeIkar Ben Matanyahu) is engraved in ancient Hebrew letters, and a bulla (seal impression) on which the inscription “[belonging to] Nathan-Melech, Servant of the King” (LeNathan-Melech Eved HaMelech) was written (this name is mentioned in II Kings). The researchers didn’t hide their excitement yesterday and said that these findings are “rare and exciting”: These discoveries are 2,600 years old (!) and were found in a burnt structure that had probably been ruined during the destruction of the First Temple, and was now discovered in Hanyon Giv’ati. The estimation is that these are relics from the Babylonian attack on Jerusalem, following which, as we know, we were exiled. Did that Nathan-Melech, servant of the king, ever imagine when he fled from the Babylonian army that a day would come and we would find his personal seal this way? We have returned home, and from time to time we receive thousands of years old greetings, which remind us how our story is greater and more ancient than what we imagine it to be. These details about this extraordinary find, despite the bullae’s tiny size, are riveting! The words inscribed on that tiny seal bring the Tanach alive. No longer can people claim that the Bible is merely a fairy tale or legend. Here is the living proof that confirms our history, the Jewish people, in this Land of Israel. Kol hakavod to the archeologists and researchers who are working so hard to uncover our amazing history and bring it to life. What can one say but a huge kol hakavod to the whole team at SpaceIL who developed Israel’s spacecraft and planned the journey to the moon. How proud we can be that in the same week we can uncover the distant past and blast into the distant future. Indeed we live in the land of miracles! Tomorrow is Rosh Chodesh Nissan and we read Parshat HaChodesh, the Torah portion dealing with the preparations for the Exodus from Egypt, as we rapidly approach Pesach. Israel is also approaching another “festival”, if that’s the right word, this Tuesday, in the form of our national elections. I have not written about these at all for the simple reason that I am still undecided between a couple of parties. I hope to cover this issue in the next couple of days. Meanwhile I wish you and us all Chodesh Tov and Shabbat Shalom. May we have a quiet peaceful Shabbat and a happy and safe week.